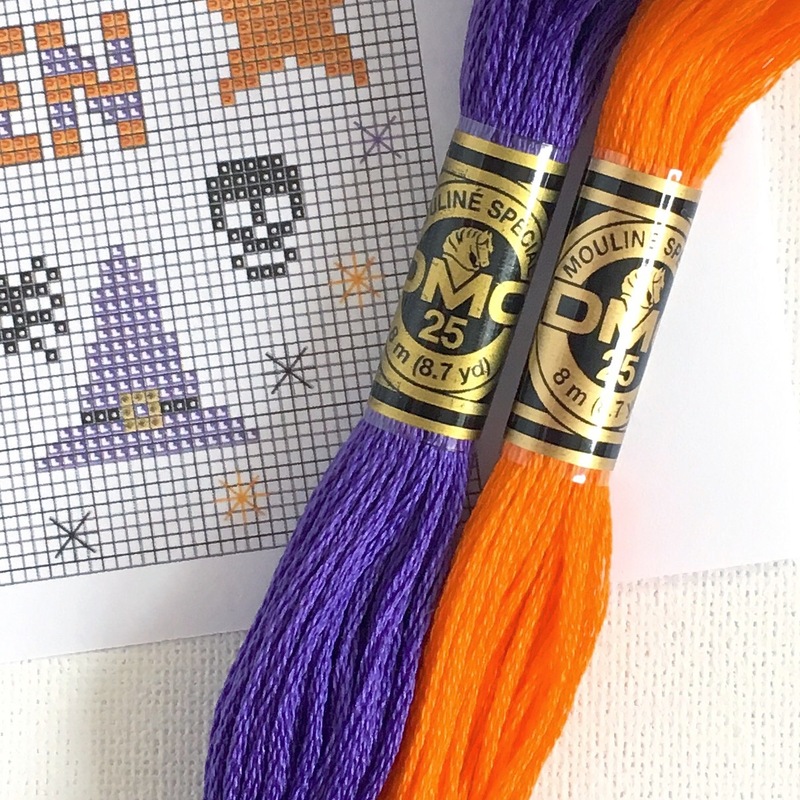 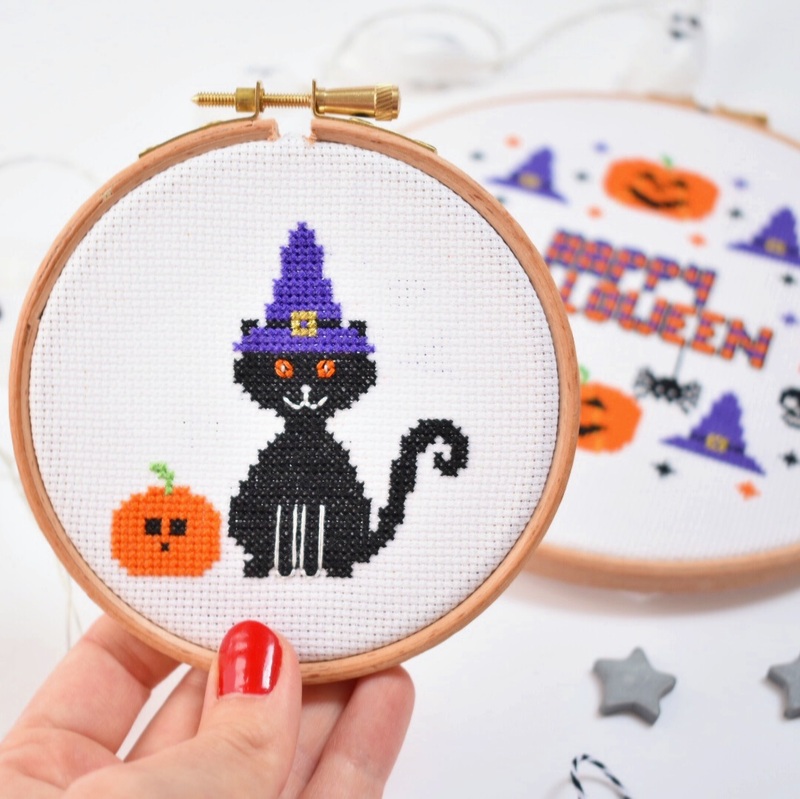 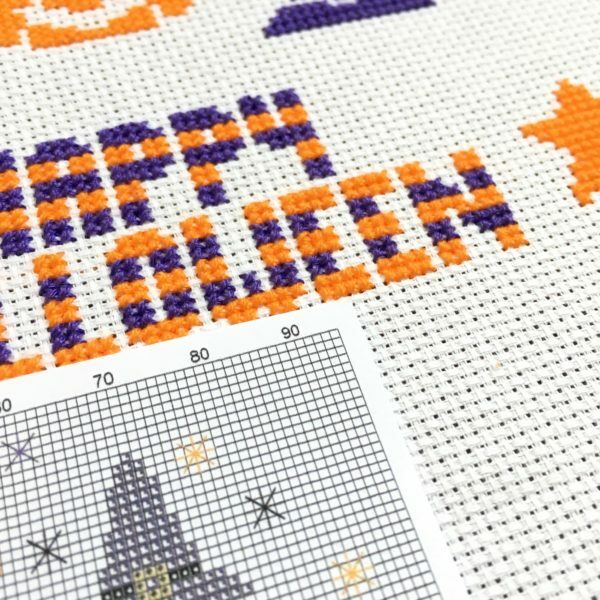 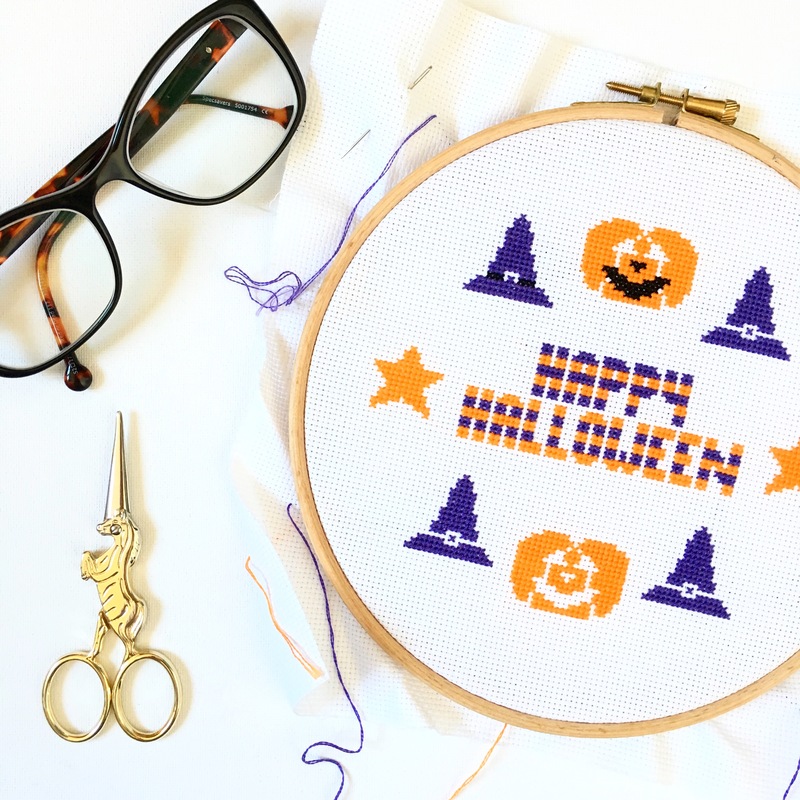 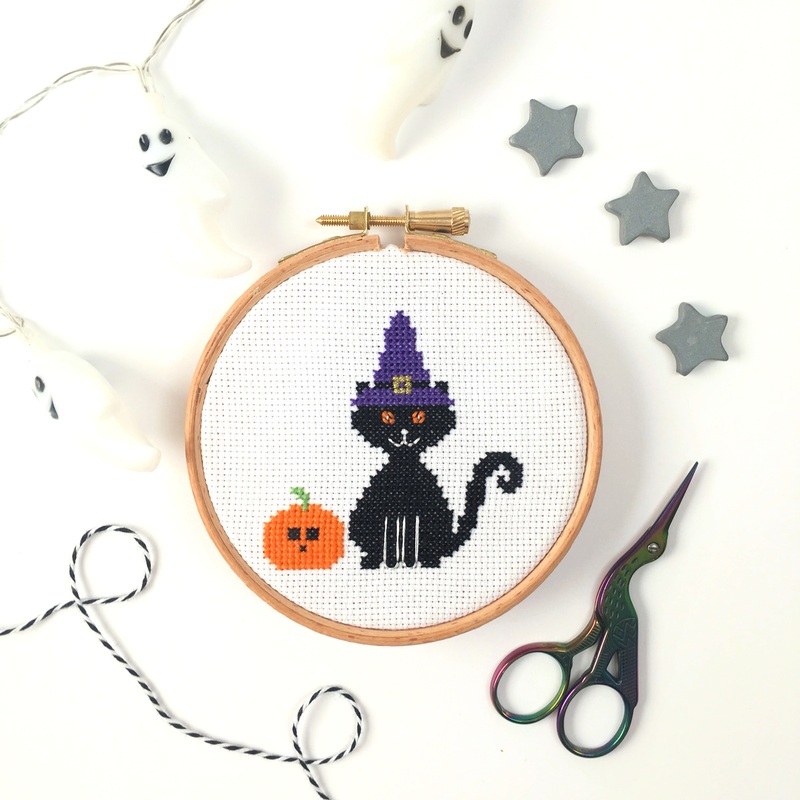 Get cosy through the Autumn stitching this Halloween Cross Stitch Kit set which includes a 7 inch Happy Halloween kit and a 4 inch Halloween Cat kit. 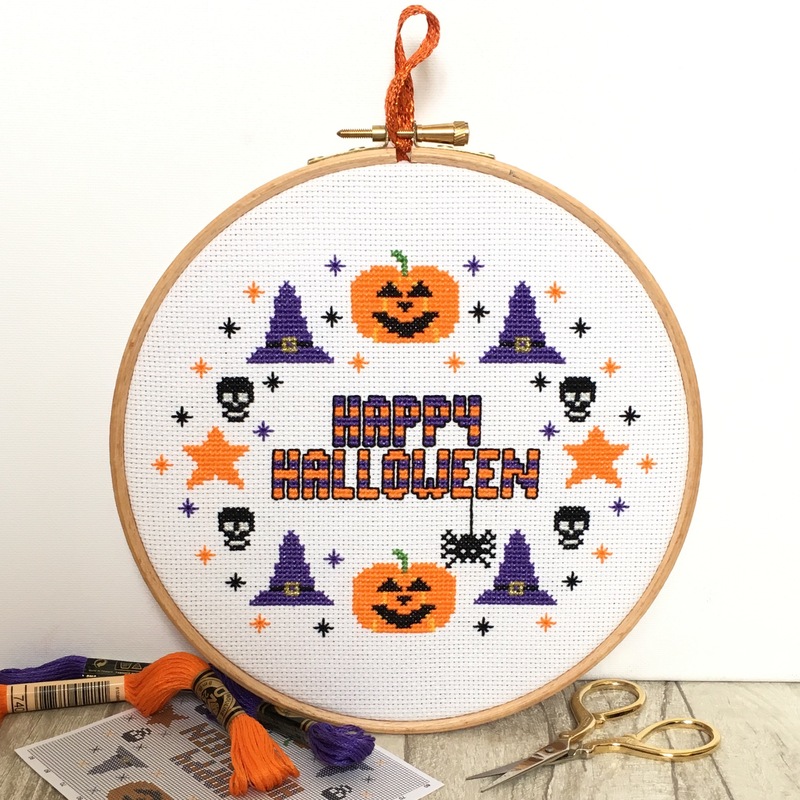 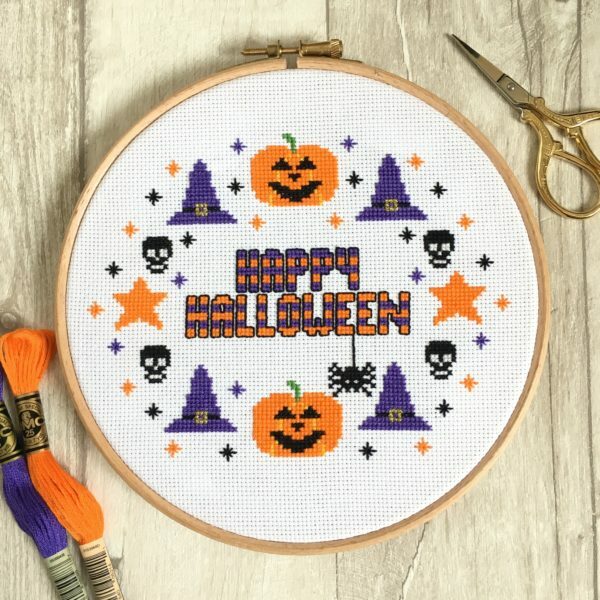 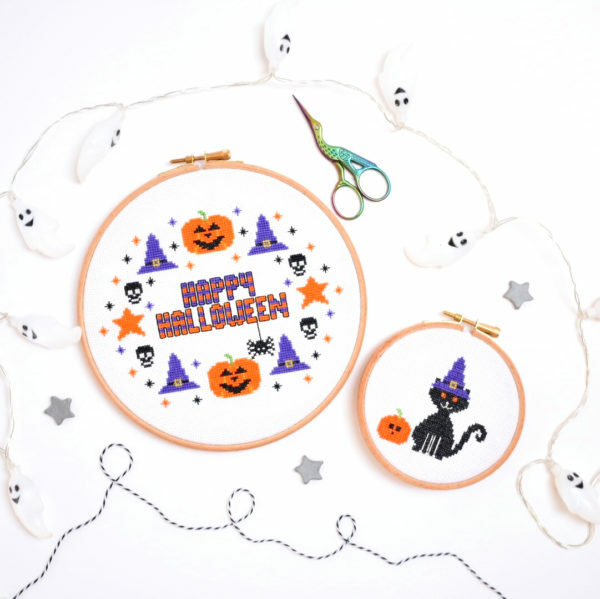 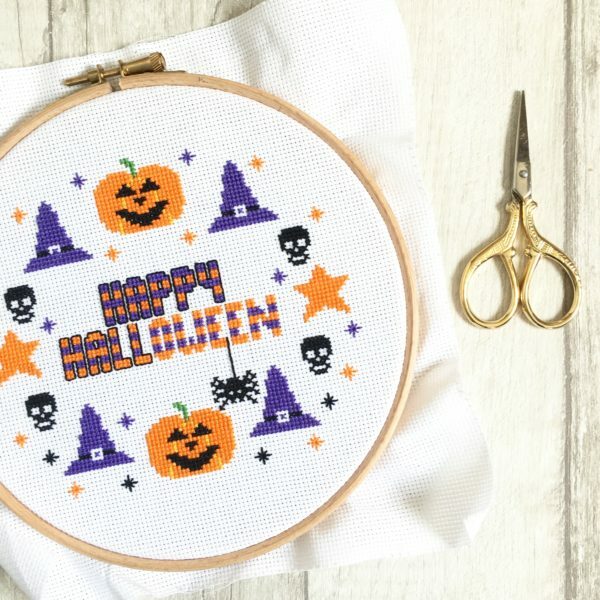 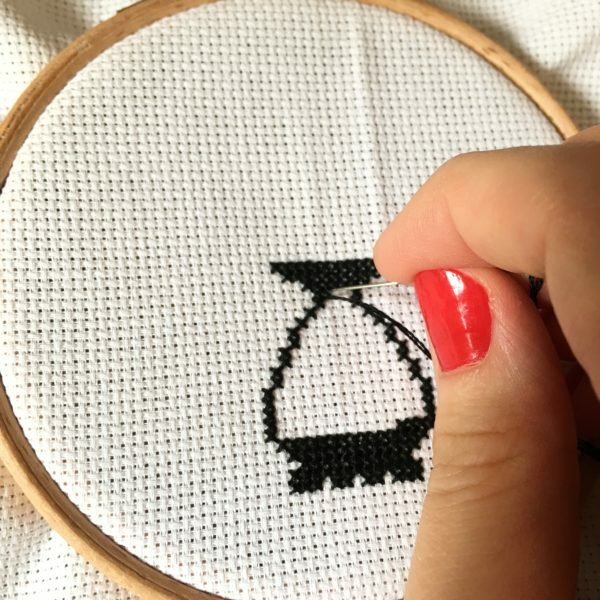 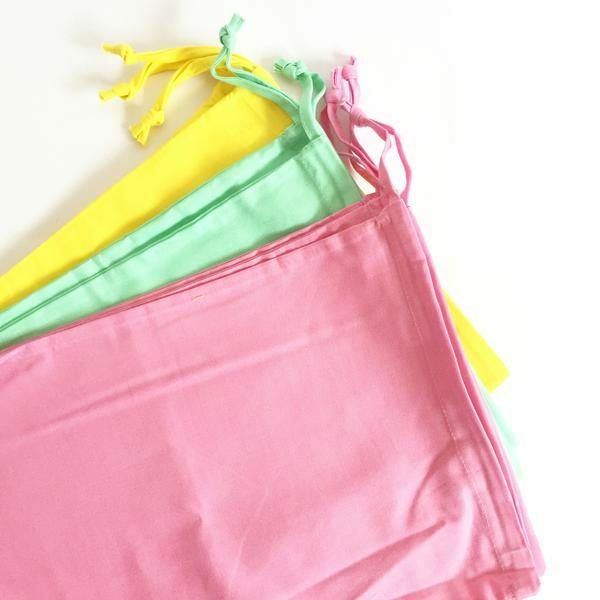 This set is perfect if you are beginner and once you have finished stitching you can hang them up over Halloween to decorate your home with something you made by hand. 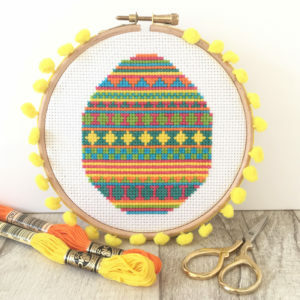 If stored out of direct sunlight they will last year after year, soon becoming a family tradition to hang them up at that time of year.